High blood sugar is a frequent subject at Holland Health Coaching. Maybe you talk about problems related to sugar a lot, too! At the gym, online, at book club over a piece of pie, sugar and our bodies are a frequent topic. We all eat sugar and the way our bodies process that sugar is variable. Therefore, high blood sugar and sugar cravings are now a mainstream health and lifestyle concern. Rachel* is a favorite client of mine. She’s a detail-oriented woman who knows she has already done her best to be healthy. Unlike other parts of her life, where she easily masters her new roles, this Prediabetes, and high blood sugar burden, has gone on too long. The high blood sugar report from Rachel’s doctor brought her to my Solution Starter Program. Before she enrolled as a member, she almost talked herself out of joining. She is so busy at work and home. I can relate to this! Most of the devoted, caring women I know talk themselves out of taking time for their own needs. We can lift each other up! Now is the time to have our needs and voices respected. After telling Rachel about the Solution Starter Program, and talking about how this year-long series of 26 classes are delivered, she opened up about joining. Being able to participate at her convenience without any deadlines or meetings to attend made all the difference to busy Rachel. The frustration of receiving little empathy from her doctor was a big deal for Rachel. Because of her work ethic, she knew she could excel at solving her high blood sugar. She just needed someone to direct her to the bridge between her present and her exciting future! Rachel creates new habits and goals all the time at work and at home. She runs a successful department at work and has raised three kids–and they’re all thriving and alive! She knows how to lead. Rachel thought it was ridiculous to be brushed-off by her doctor when there are real and severe consequences to her health–and her finances–if prediabetes turns into Type 2 Diabetes. It can cost $2400/year when high blood sugar is not solved and diabetes arrives. Learning this, Rachel made an important decision. Her doctor suggested a “Wait & See” approach to her elevated blood sugar, and that infuriates this client. Why wait as more damage is done to her body? Rachel may be a lot like you. She has big plans for the next decade of her life–and those plans do not include a chronic high blood sugar issue. Already tired of feeling overweight or too busy to enjoy exercise, Rachel has spent more than a year trying to drop weight and ignore sugar on her own. Her latest blood work was not what she expected. 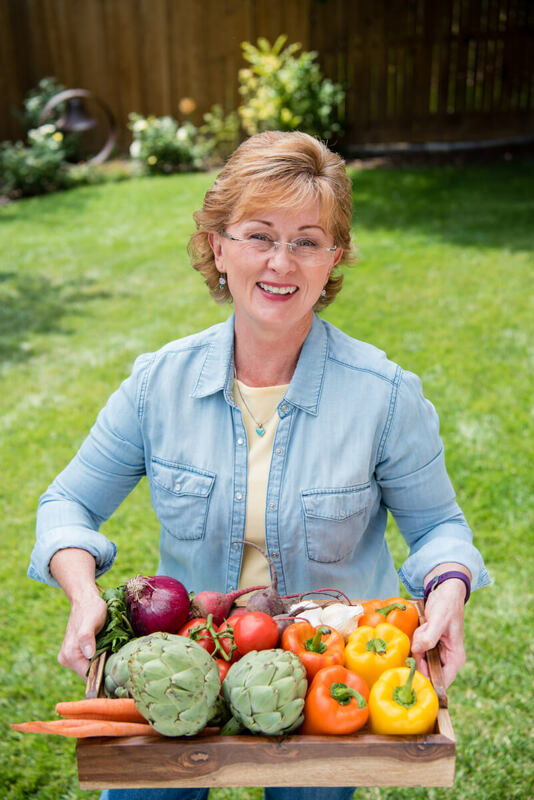 This Prediabetes diagnosis truly caught her by surprise! It can be very discouraging for a success-oriented person to feel like she has little control over her body. Hearing about the Solution Starter Program was exciting because it helped her realize there were a few missing pieces to the puzzle of her habits. Puzzle pieces she could play and create her future Life Story. Rachel has a friend named Carla* who participated in my first Solution Starter beta-testing class. Carla lost 15% of her body weight! Because of her weight loss, she renewed her love of ballroom dancing. Best of all, the Solution Starter Program is a No-Judgment Zone platform. Are you a go-getter woman with lots of will-power and drive to succeed? I gently helped Rachel understand that her past efforts to “buckle down” and “fight her body” were not ideal. What she is learning to do is feel successful and valuable all along her change path without undue pressure or toughness. Life is too short for that! Right? My mission is to help busy women today release the need to feel hatred toward their body in the attempt to make day-to-day habit changes. How can this more gentle approach happen? As we all know, hatred is not an empowered foundation for anyone wanting positive results. Self-love and care are extremely powerful. This is the place where we can make new, uplifting choices! Carla and Rachel quickly saw as members of the Solution Starter Program that self-love and care do get results. As they have said, this self-discovery has an impact on all areas of their life. Do you feel the need to balance your Warrior Woman toughness with a Gentlewoman’s self-care? It’s now been four months into this transformational experience for Rachel. This lovely “go-getter” jumped into the program materials with great enthusiasm! She hadn’t realized how much she was missing the community of other enthusiastic women. Rachel has thrived as both a giver and a receiver of encouragement. She has lost 10 pounds without depriving herself of foods she loves and wants to lose 15 more. She is very enthusiastic about her Food & Activity Journal and calls it her new “best friend.” In reality, she’s made a few great human friends in this community, too! The chronic stress in Rachel’s life is a topic she brings up often. Because of this, she’ll be ready to learn when that topic is presented to her in the coming months of her year-long transformation. I’m excited for her to receive compassionate stress relief! …is harming all of us more than we realize. If you and your family are also wondering “What to do now?” after a high blood sugar or prediabetes diagnosis, I hope that Rachel’s story encourages you. Because your health truly does matter. Healthcare in America is complicated, and preexisting conditions are a worry to many. It may be a hurdle you cannot overcome alone. *Rachel and Carla are not their real names. They have given me permission to tell their story to you today. I hope it has helped you.